Many Idahoans see the benefit to purchasing a home in a planned community; however, how to deal with your homeowner association requires 4 tips. 1. Ask for a copy of your homeowner’s covenants and bylaws (CC&R). Take some time to read through them. The documents will guide you on the basic rules for living in the community, how to get answers to your questions and when you need to obtain community approval for remodeling or additions. 2. Contact Information. Make sure your homeowner’s association has your current contact information including phone numbers and e-mail addresses. This helps ensure you’re kept informed of proposed changes to the bylaws, any requests for exceptions, repairs or maintenance issues, community events and other news. In addition, find out who your HOA Board is and the process for requesting information or filing a complaint. 3. Attend a homeowner’s association meeting. 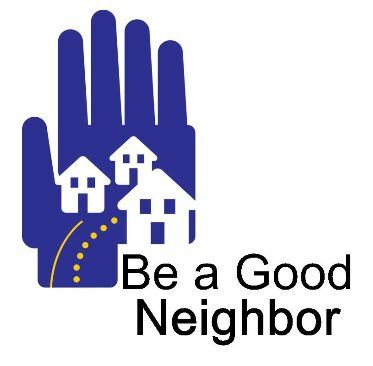 Not only will this give you a chance to meet some of your neighbors, it will make you more familiar to the homeowner’s association board or its association management team, which can help if you need to request approval, such as to paint your house, or if you want to suggest a change in the bylaws. 4. Arrange for automatic payment for your dues and management fees. This suggestion leads back to question #1. Read the fine print, as failure to pay your homeowner’s association dues could result in a violation to the bylaws. Written within some bylaws, a property lien can be applied to your home which could lead to foreclosure. Failing to pay can cause tension within the association, with your neighbors and with your Board, and even if you catch up, it can leave a negative impression with you. A good example of an independent, third-party, professional association service who is based in Idaho is MGM Association Management. MGM is also an active member of the Community Association Institute (CAI), a governing organization that provides management oversight, continual education and HOA regulation. For two decades, MGM has been mentoring homeowner’s associations to better manage their neighborhood. MGM offsets the more time consuming and challenging aspect of community management, which is, collecting dues and managing their finances. This results in an HOA board to focus on more relevant issues, so that they can keep their community thriving. MGM has two locations, one in Meridian and in Idaho Falls. Onsite presence allows for direct contact and better management control. To learn how MGM Association Management can assist your homeowner’s association, we encourage you to contact us at http://www.gomgm.com or call (208) 846-9186.